SPIRIT OF MUMBAI: 15th Raymond Crossword Book Award jury shortlist. Shashi Tharoor, Namita Gokhale, Jerry Pinto, Ruskin Bond : Tough road ahead for the jury to declare first among equals. 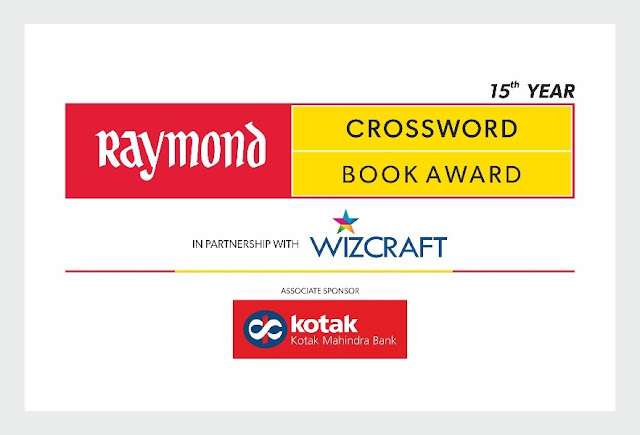 The Raymond Crossword Book Award, India’s first and most prestigious Book Award, recognizes and rewards the best of Indian writing & Indian authors. Incepted in 1998, over the years, the awards have been equated to the Commonwealth Writer’s Prize, The Pulitzer and The Booker, and are a definitive, veritable platform for Indian Authors. a. Jury Category comprising best fiction, non-fiction, children’s books and translations. b. Popular category comprising best fiction, non-fiction, Business & Management, Health & Fitness, Children’s Writing & Biography. The non-fiction shortlist comprises The Great Derangement by Amitav Ghosh,Borderlands--Travels across India's Boundaries by Pradeep Damodaran, Age of Anger by Pankaj Mishra, A Feast of Vultures by Josy Joseph and An Era of Darkness by Shashi Tharoor. The jury shortlist in the children’s category includes How old is Muttajji?, by Roopa Pai and Kaveri Gopalakrishnan, 2 by Paro Anand, Garima Gupta, Kaveri Gopalakrishnan and Orjan Persson, Hot Chocolate is Thicker than Blood by Rupa Gulab, Muezza and Baby Jaan by Anita Nair and Monkey Trouble and other Grandfather stories by Ruskin Bond and Priya Kurian. A Preface to Man by Subash Chandran translated by Fathima EV (Malayalam), I Want to Destroy Myself by Malika Amar Shaikh translated by Jerry Pinto(Marathi), Zindagi Nama by Krishna Sobti translated by Moyna Mazumdar & Neer Kanwal Mani (Hindi) ,The Saga of Muziris by A. Sethumadhavan, translated by Prema Jayakumar (Malayalam) and Bara by U. R. Ananthamurthy translated by Chandan Gowda (Kannada) are the shortlist in the Translation category. In 2016, for the first time, Raymond Crossword Book Award introduced the Lifetime Achievement Award, which was conferred upon Ruskin Bond at the hands of the legend Gulzar.